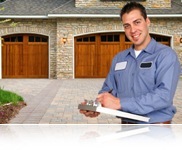 Welcome to Portes Garage Door, the best garage door service provider in Canada. We provide a wide range of overhead garage door related services which include installation, repair and replacement of doors of all kinds. Through our high quality garage door products and affordable services, we have become a premium authority when it comes to commercial and residential garage door repair throughout Canada. We’ve been consistently ranked amongst the top garage door service companies in Canada. Our garage door repair solutions are available 24/7, 365 days a year. Call us NOW to know more about our overhead garage door installation and repair services near your home. How to check whether my garage door’s springs need replacement? Why is my garage door making strange noises while opening/closing? Is professional assistance mandatory for garage door opener repair? How can I install weather stripping on my garage door for insulation? Do I need to replace my garage door remote if it has stopped working? Which lubricant should I use for the maintenance of my garage door? Want to Buy a New Garage Door? Our hundred plus client base in Canada can simply go on and on answering this question. However, to make things simple for you, following are some high points of our garage door repair service which might interest you. 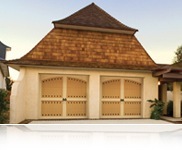 We, at Portes Garage Door, have been ranked as a leading provider of garage door services in Canada. Our high quality products and affordable repair solutions are the reason why people tend to go for us. Call us TODAY at 1-877-613-4948 to book a garage door repair appointment in your city.